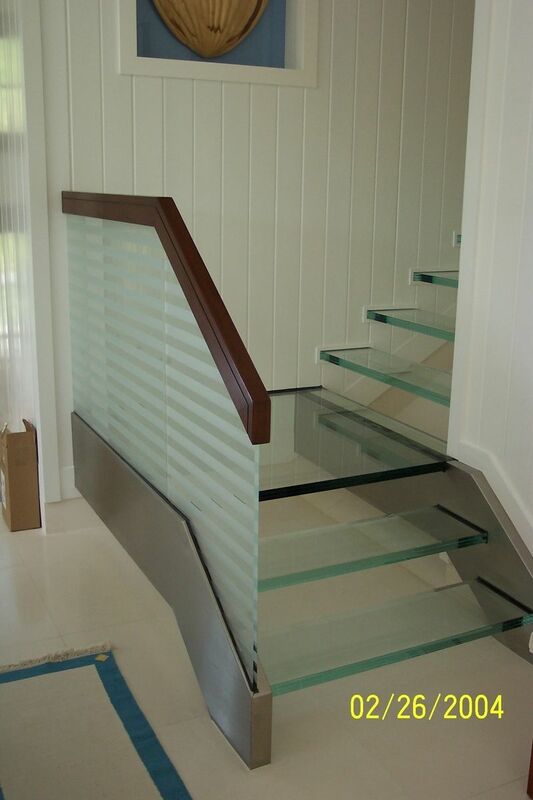 This dramatic staircase is built with non-slip 1.25"glass and polished stainless steel. The walls were slotted to accept the glass stairs and L.E.D. edge-lighting added for safety at night.